Curling – you’ve seen it on TV and during the Olympics, that eccentric sport played on the ice with the sweeping and the shouting. Maybe you tuned in for a game, learning the scoring and strategies, becoming more and more mesmerized by the nuances and physics of a sport unlike any other. Curling takes elements from shuffleboard, darts, luge, and kitchen floor cleaning, and delivers a bizarre and singular sport. For those who’d like to try curling for themselves, there are five dedicated clubs in New York State, and two of them are right here in the Capital Region within 12 miles of each other — the Schenectady Curling Club on Balltown Road and the Albany Curling Club on West McKown Road, just off Schoolhouse Road. Curling originated as an outdoor sport in 16th century Scotland. It had been a demonstration event in the Winter Olympics since 1924 but its increasing popularity, particularly in northern latitudes, helped make it an official Olympic event in 1998. Canada has historically provided the dominant teams in the sport along with several European nations, while the US has not fared well historically in Olympic or world competitions. However, last February and after losing four of their first six matches, John Schuster and his team of castoffs won five straight to earn Olympic Gold on behalf of Team USA. Partially because of that victory, curling is enjoying new levels of popularity locally. 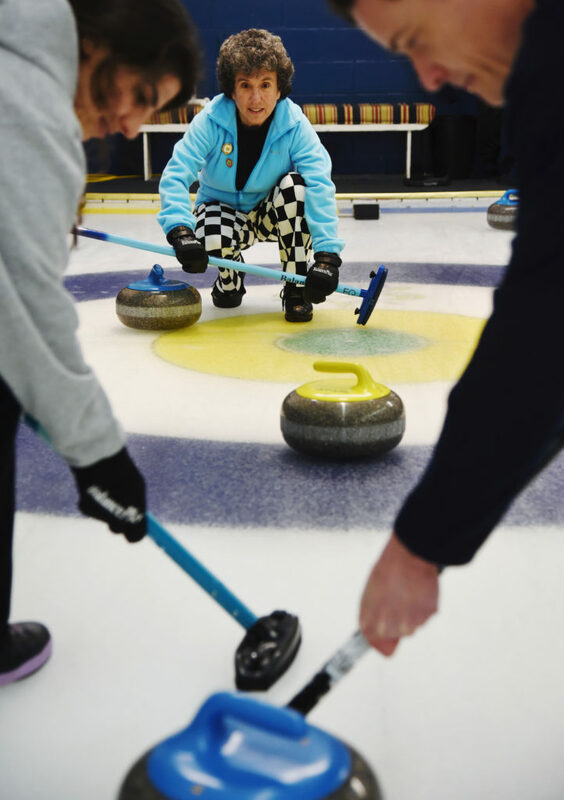 Curling has long been and continues to be, wildly popular here in the Capital Region. 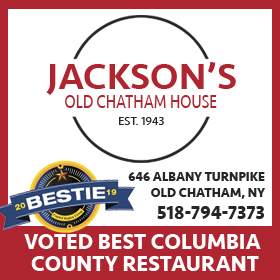 Moving into their current locations in the 1950s and subsequently renovated and expanded, both the Schenectady and Albany clubs trace their roots in the area to the late 1800s and boast robust memberships. Adult leagues play every night of the week, and there are daytime leagues as well. 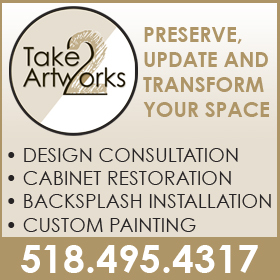 Teen and youth leagues are also available. Technological advances, including delivery sticks, allow players of all abilities and ages to enjoy the game. Curling is played by two teams, each usually consisting of four players, taking turns sliding heavy, polished granite stones, also called “rocks,” across the ice sheet towards the “house,” a circular target marked on the ice. Each team has eight stones, and every player throws two. Points are scored much like bocce; stones resting closest to the center of the house of each “end” count as points and only one team can score each end. A game usually consists of eight ends. Many are drawn to the particular sportsmanship involved in curling. Players call their own fouls, including touching the stone with their broom, known as “burning” the stone, which results in the stone being taken out of play. A distinct lack of trash talking also defines the sport. Curling involves not only a deft touch and the ability to consistently make shots but also cunning strategy, which makes it so mesmerizing to watch. Area clubs have full kitchens, which are used to cater events for members and guests, including during “bonspiels” or tournaments, which bring in visiting teams from out of town clubs throughout the northeast and Canada. Post-game celebrations at “tables” are where the victorious team buys drinks for the defeated “rink.” Yes, both clubs sport fully stocked and reasonably priced bars. While play at the clubs is generally limited to members, the public is welcome to visit and watch virtually anytime during the season, which runs from October through the end of March. Both clubs host occasional open houses and welcome visitors to try their hand delivering a stone and developing their sweeping techniques. Open houses are also opportunities for new curlers to become members if they so choose. Annual dues are comparable to the costs of a bowling league and, while special equipment (shoes, gripper & brooms) are used, these are available for free use at each club. 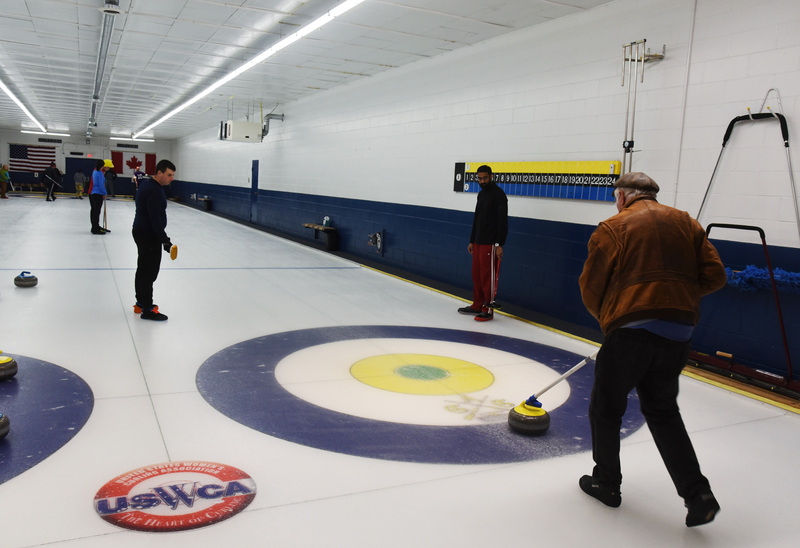 If you are itching to give curling a try, the Albany Curling Club open house will be held the weekend of January 5th. The Schenectady Curling Club open houses were not yet scheduled as of press time but are planned to take place around the holidays. Information on open houses and how to visit the club can be found on their websites albanycurlingclub.net and schenectadycurlingclub.us or by calling 518.456.6272 (Albany) or 518.372.4063 (Schenectady). You just may discover a new lifelong activity!